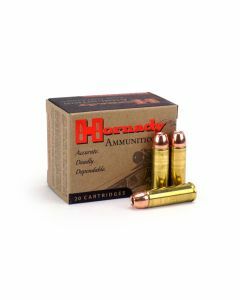 One of the standardized big bore cartridges that has found favor over the years with hunters using handguns, the .454 Casull is a behemoth of a cartridge that offers significant ballistic performance, great big power, and hefty recoil. The round uses a small rifle primer rather than a large pistol or Magnum pistol primer, because of the massive pressure loads, and the relative ballistics are serious for big game hunters or those who need legitimate backup in the field in dangerous game territory. The .454 Casull is seen as at or near the top of the big bore hunting handgun rounds.